I am going to be honest here, I had been struggling with things for a while. I had a hard time keeping up with housekeeping as I knew we just had too much stuff. I was spending what little free time I had organizing our stuff and I found I became stressed and angry and was generally unhappy. I just didn't know where to start, but I knew something had to change!! Over the years and having three kids, we had amassed a substantial amount of nonessential items that just ended up cluttering up our home and I found I was stressed and angry most of the time, which I really hated! When I came across an online minimalist bootcamp, I knew I just had to give it a try! And, boy, I am so glad I did! I got the kick in the pants I needed and not only did I find help with decluttering my home, but my life too! I've only been at it for a couple of weeks, but I have to say that it has already changed my life in such a positive way! I decided to finally start to take control of my life and my first step is to declutter, minimize, and organize!! So far, the effects have been absolutely amazing and I feel so much better and more in control than ever! I would love it if you joined me on my journey, too! I get a huge boost of endorphins just looking at my decluttered space, and I feel so much happier! The first thing you need to ask yourself is why you want to declutter, why is it important to you, and how you got to where you are now? 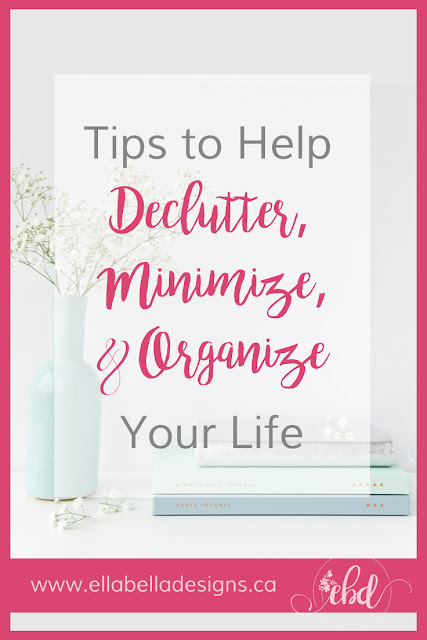 Some of your reasons may be to save money, save time, gain space, less stress (clutter not only takes up space in your home but also in your mind), feel more organized, welcome guests, etc. What are your top 3 reasons to declutter? Print out a calendar and schedule just 15, 30, or 60+ minutes a day for 30 days and you will see progress. Choose a clutter hot spot in your house (kitchen counters, office desk, junk drawer, etc.) or a whole room! When will you start/complete your decluttering? If you are feeling overwhelmed tackling a house full of stuff, you are not alone! My biggest tip for dealing with the overwhelm is to start with the smallest room that will provide almost instant gratification - the bathroom! Clean as you go! If you are planning on selling or donating, it's easy to clean it before tossing it into your box. I found that my large bag of toys I decluttered sat in my garage for months waiting to be cleaned and took up a lot of space. So now I clean as I declutter. 5. DO NOT GET DISTRACTED! It's hard when you are going through everything, especially sentimental items, and you're tempted to read that old diary or letter or go through all of those old photos, but don't. Just try to get through your allotted time and set these aside for another time. Gather boxes to contain your items while sorting. You'll need four: Keep, Toss, Sort, & Donate. My secret weapon is a sort box, so when I am decluttering an area and I come across things that don't belong there, I pop them in the box and sort it later. 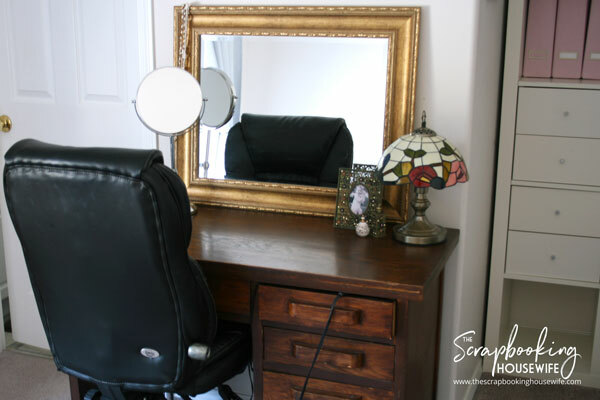 My goal is always to organize the space I am working on and not get distracted (see #4). I have to admit being an organizer this one was hard for me! But it really made all the difference! I never would have finished decluttering if I organized as I went! Though I do admit if it was a simple bathroom drawer, I just had to do it right away! Make sure that the stuff you choose to keep is stuff you really love. Be sure to read Marie Kondo's books where she elaborates on this >> The Life-Changing Magic of Tidying Up & Spark Joy. She also has a show out on Netflix, which I binge-watched! Things really clicked for me after watching her show. Once you decide you no longer need an item, get it out of the house as fast as possible! This is especially true if you have young kids and are decluttering their toys. If your kids are anything like mine, they will somehow find the giveaway bag and next thing you know they are their "favorite" toys again! If you choose to sell your items, set a time limit and if they haven't sold before your time limit, just donate it. You've already spent the money and enjoyed the item, so sometimes it's just best to let it go and move on. Create a system to organize all of the papers! Have an area dedicated to your papers and set aside some time at the end of the week or end of the month to go through your papers. Consider scanning and saving your papers digitally. ✔ Outside - don't forget to declutter the shed, too! I think twice before making any purchase and I ask myself if it really belongs in our house. Do I really love this? Do I need this? What purpose will this serve? Does it fit with my decor? If the answer is no, put it down and walk away! We have a donation box in our closet specifically for items we come across that we find we no longer need. This is delivered to the donation centre frequently. Have a home for everything! This is KEY to keeping organized, especially if you have kids and all of the toys that come with them! One of the big organizational projects I tackled was my son's Lego collection. Together with my son, we came up with the perfect organizing solution. This included a detailed Q&A with him to figure out how he likes to play with his Lego. He really loved the whole process! See how we organized his Lego collection here. I have been hesitant to share photos of my house on this blog as it certainly is not Pinterest-perfect nor magazine-friendly, and we basically haven't done much to it since we bought it 14 years ago! However, I will be working hard on turning my house into a decluttered, semi-minimalist home (yes, even with 3 kids! ), and I feel pictures of a well lived-in, real home is what people need to see! I'm keepin' it real here peeps! Tell me, are you feeling overwhelmed with it all and looking for a solution? 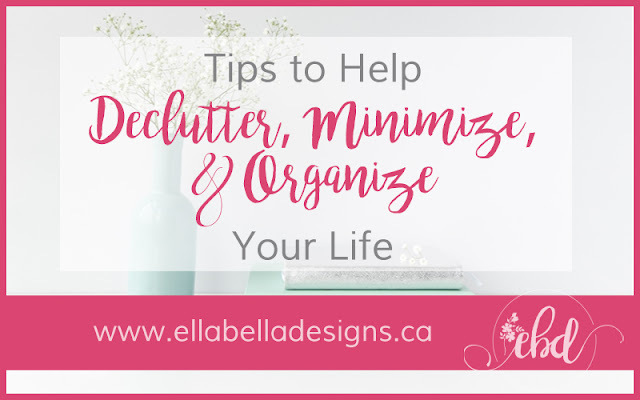 I'd love to help and will be posting more on decluttering, minimizing, and organizing my life! Don't forget to pin this post on Pinterest! Thanks!